If you do not own a Big Shot # 113439, now is the time to buy it!!! You can make the simplest cards in minutes. 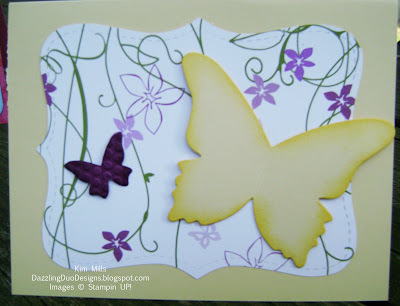 For this card, I used exclusive dies from Stampin' UP! 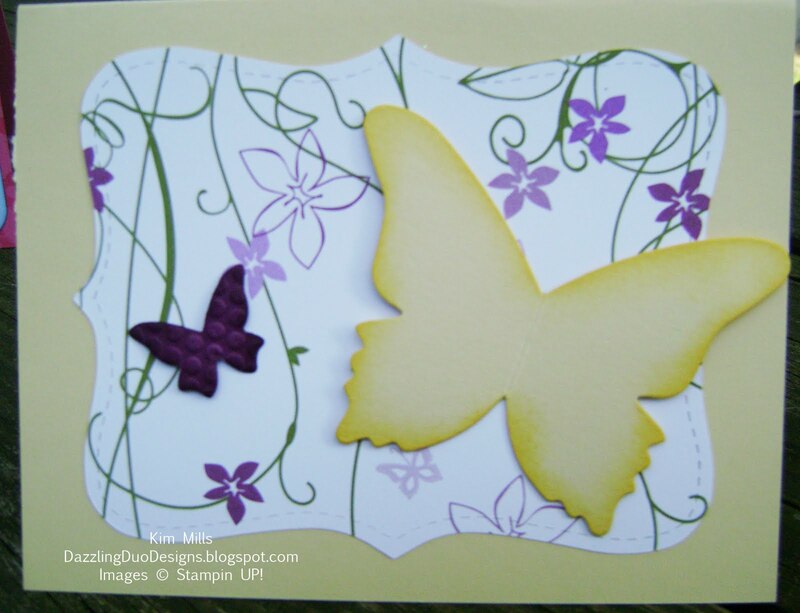 - Beautiful Butterflies Die #114507, Beautiful Wings Embosslit Die # 118138, and Top Note Die #113463. Remember these dies can only be purchased through Stampin' Up! Plus, I used Cottage Wall Designer Paper #115671, Rich Razzleberry Paper #115316 and Barely Banana Paper #102701. Purchase the Big Shot from me and receive 10% off!! But you must email me your order in order to receive 10% off!! Offer ends April 3o, 2010.